You don't seem to agree with the opinion that dry Muscat is a DYA wine - "drink youngest available". Would you go so far as to generally recommend cellaring Muscat, or are you just saying not to worry if a bottle is forgotten in the cellar for a couple of years? I think that with any wine, it is rewarding to drink them over some years to learn from how they develop. 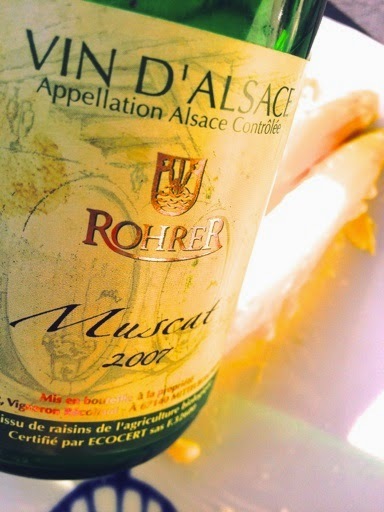 Young Muscat is always pleasant but Muscats such as Marnes Vertes from Etienne Loew, GC Pfersigberg from Bruno Sorg or GC Froehn from Becker certainly will always age to something interesting. But to anser to your remark, "not to worry if a bottle is forgotten in the cellar for a couple of years" is a very good way expressing my general opinon.